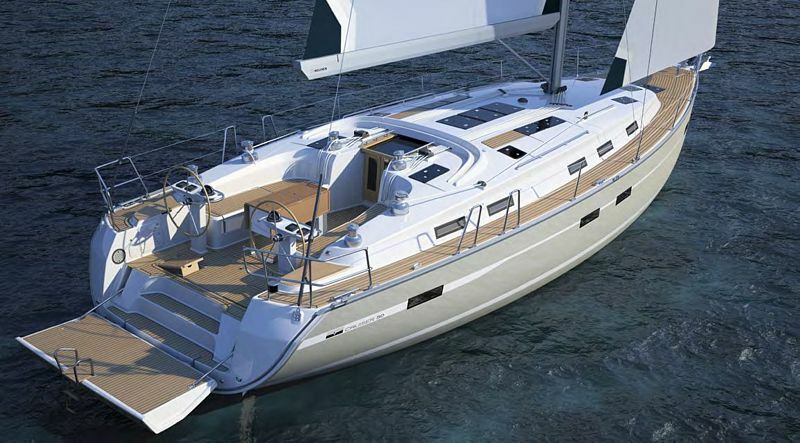 The Bavaria 50 is a big boat, with a wide decks and a broad foredeck. 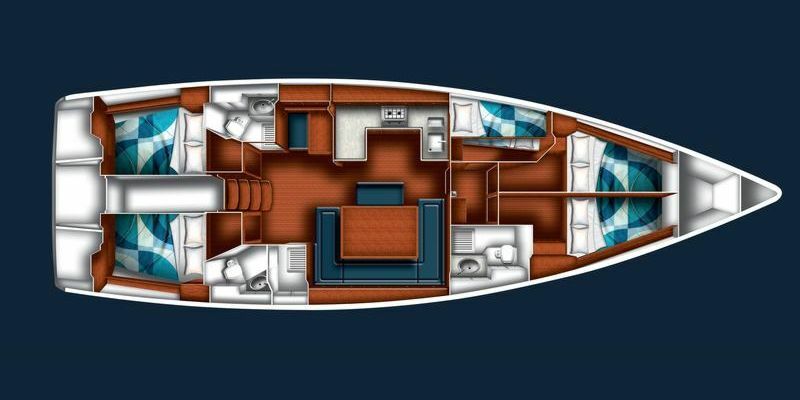 The cockpit can fit eight adults with barely a squeeze and there's room on the cabin top and the decks for half a dozen more. 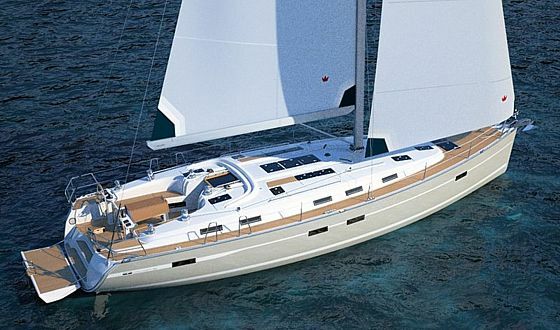 The performances of the Bavaria Cruiser 50, even in the light to medium airs, are very impressive. 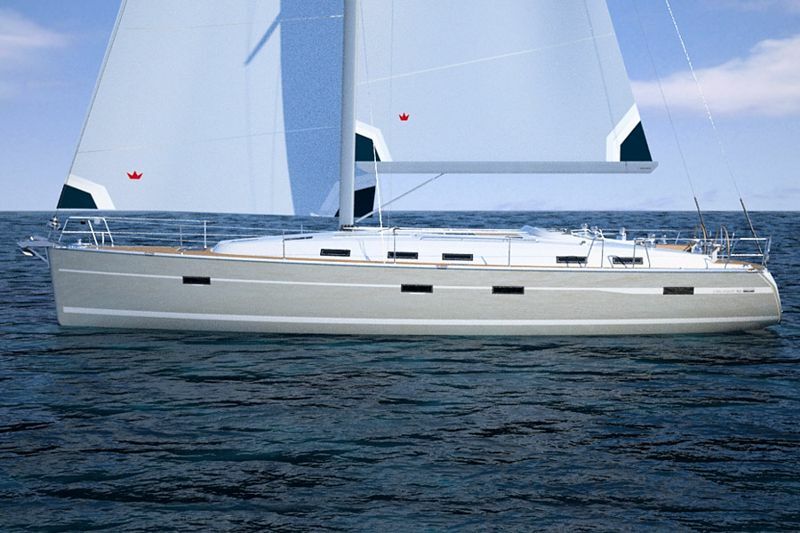 Manoeuvrability, good speed and sailing ability are excellent for a cruising yacht of this size. 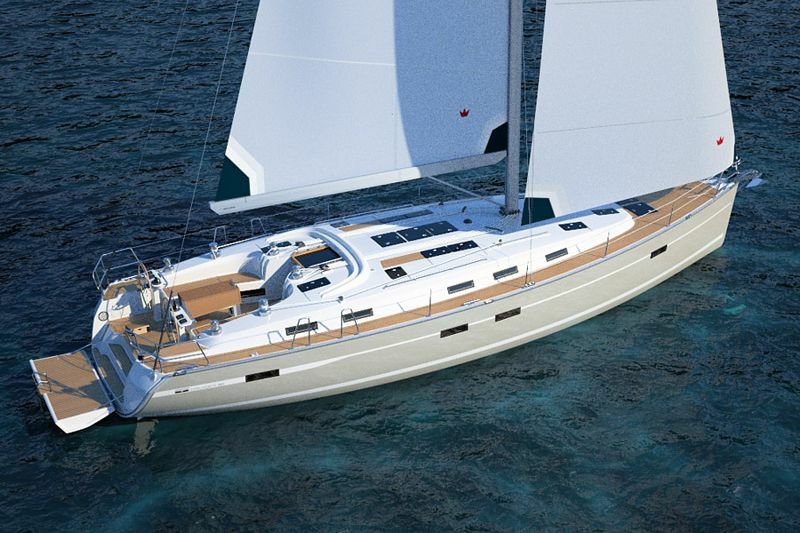 Under power, the big 72 hp Volvo combined with the four-blade prop push the Bavaria 50 along effortlessly. 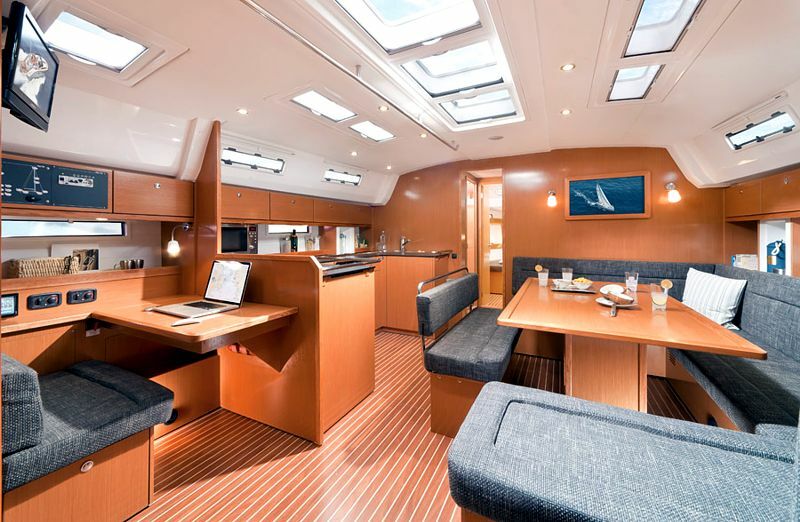 The two aft cabins have loads of room with little lounges and cupboard space. 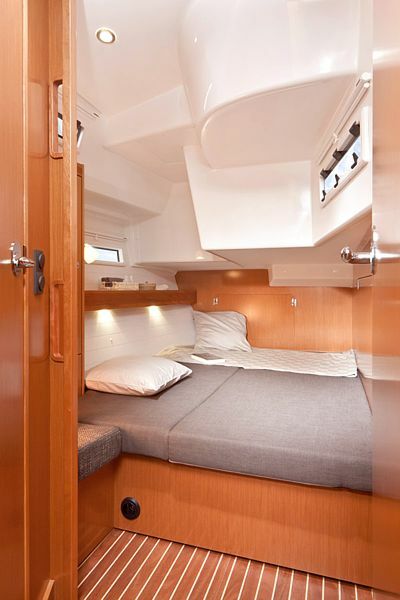 There is a head either side of the aft cabins. 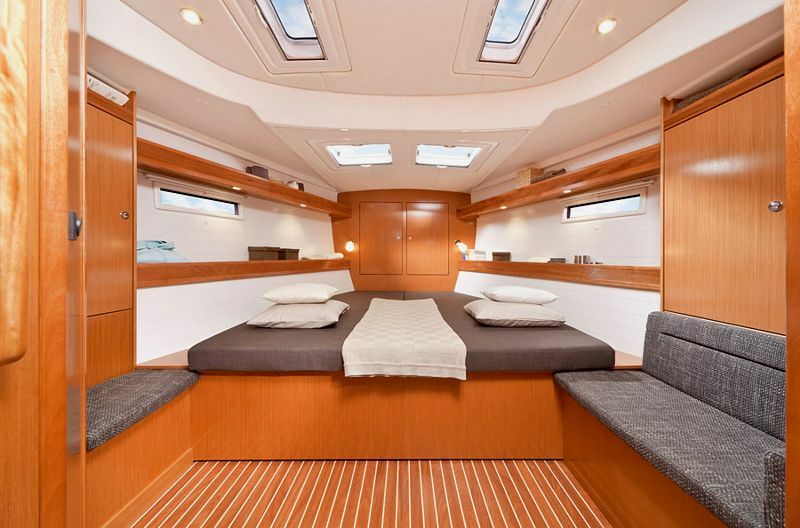 The shower/toilets are more spacious than those on the Bavaria 49. 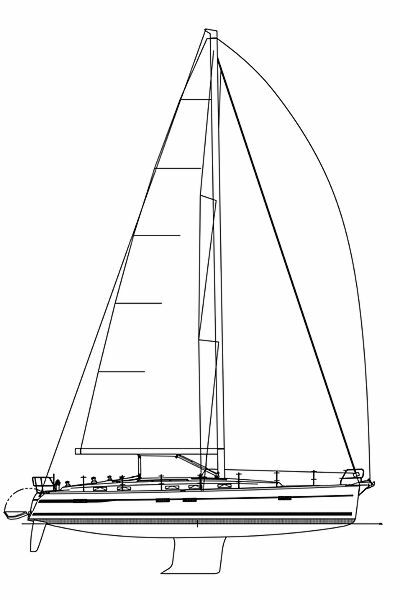 The forward section of the boat can be partitioned off with a door. 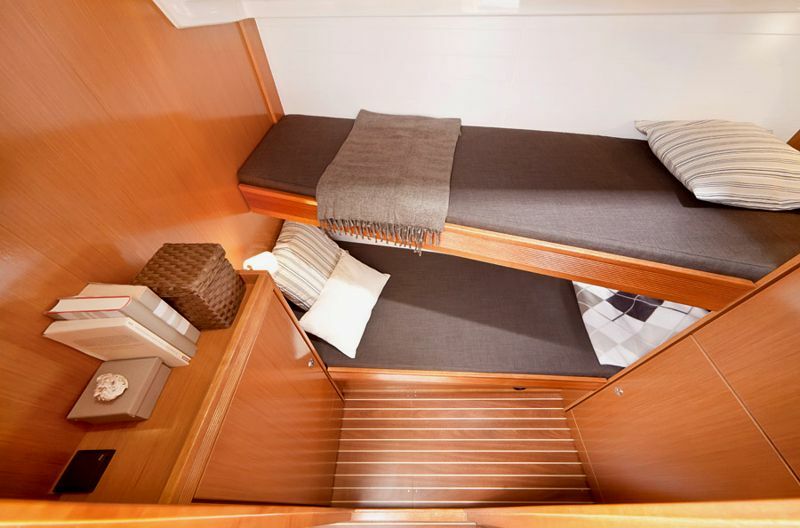 In this section there's a double-bunk cabin with comfortable bunks for kids or adults, third head and two cabins in the bow. 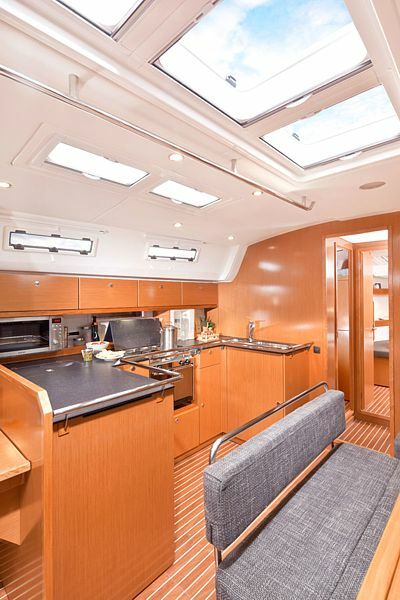 The two bow cabins are very spacious . 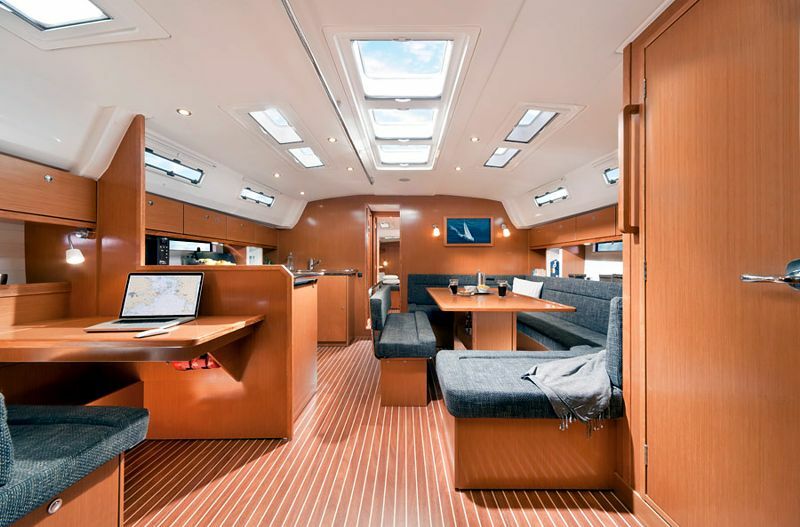 Bavaria Cruiser 50 proves that space and living comfort can be achieved in a large cruising yacht, without sacrificing speed and sailing performance. 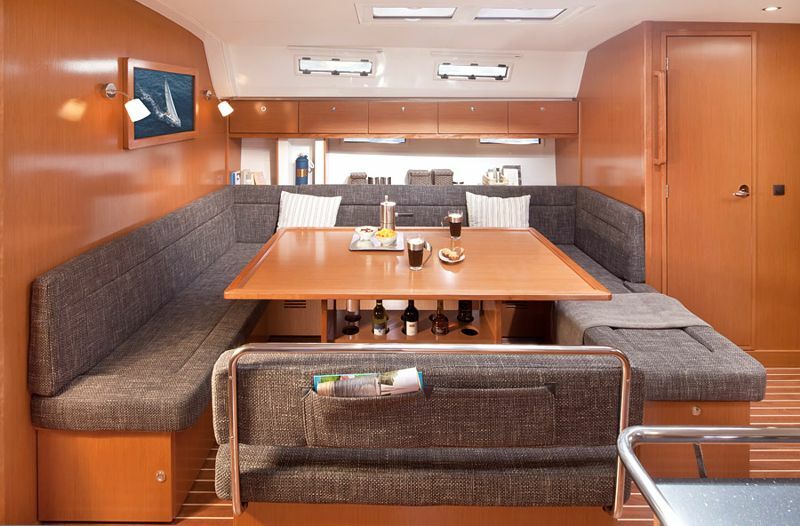 The saloon is dominated by a three-metre, C-shaped settee to port with an extending-leaf table and a two-seater lounge. 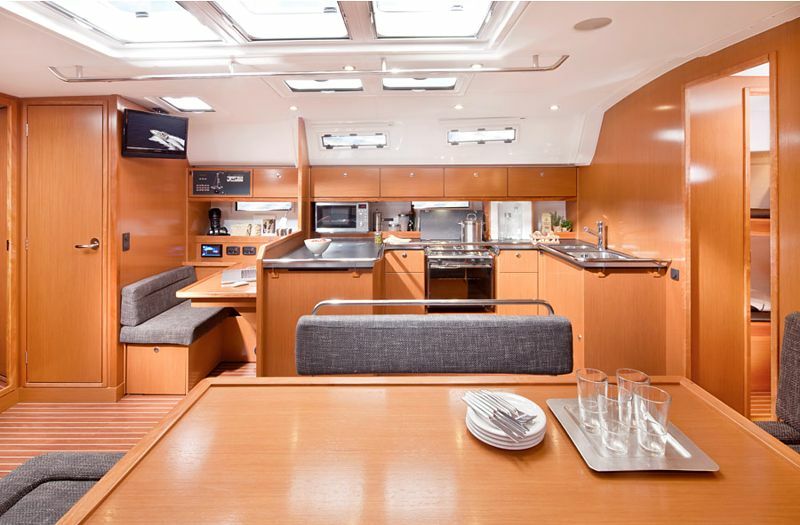 Across from the dining area is the galley with two-burner gas cooker and a double sink. 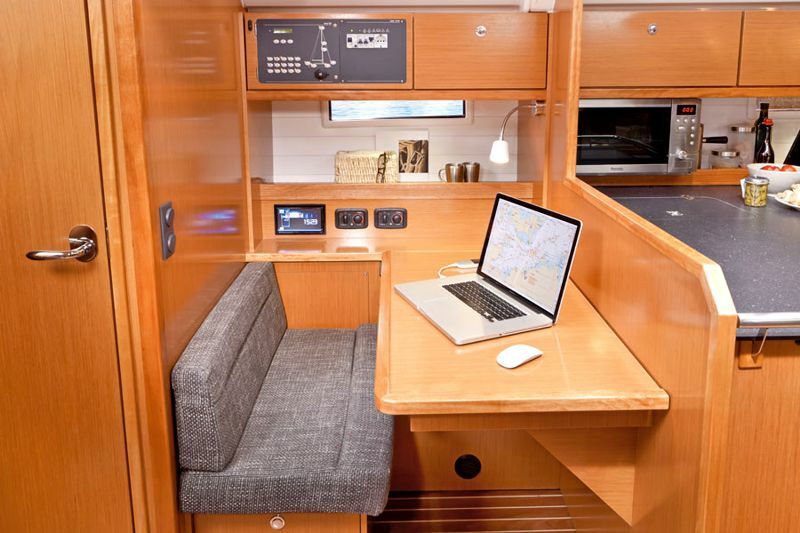 Aft of the galley is the nav station. 01.01.- 19.05. 19.05. -02.06. 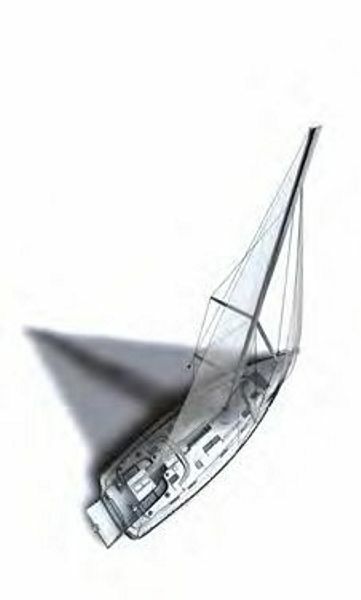 02.06.- 16.06. 16.06.- 30.06. 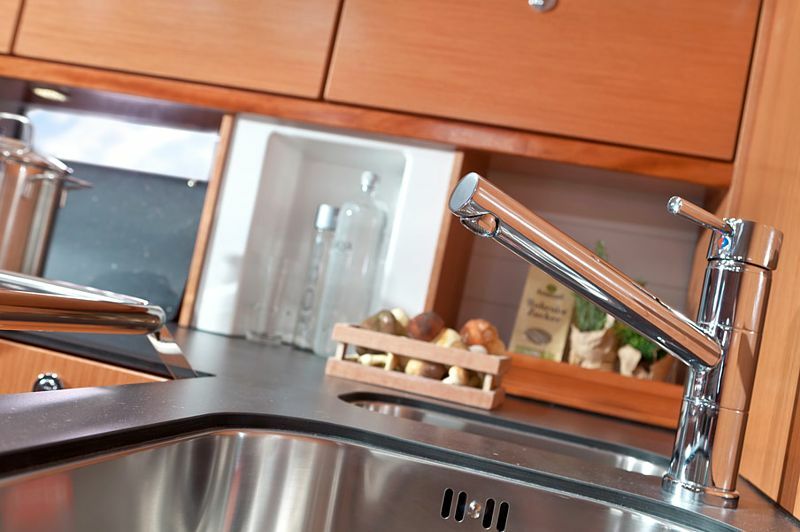 30.06.-28.07. 28.07.-11.08. 29.09.- 31.12. 22.09.- 29.09. 15.09.- 22.09. 25.08.-15.09. 11.08.-25.08. 01.01.- 28.04. 28.04.-26.05. 26.05.-09.06. 09.06.-30.06. 30.06.-28.07. 28.07.-18.08. 29.09.- 31.12. 22.09.- 29.09. 15.09.-22.09. 01.09.-15.09. 18.08.-01.09.